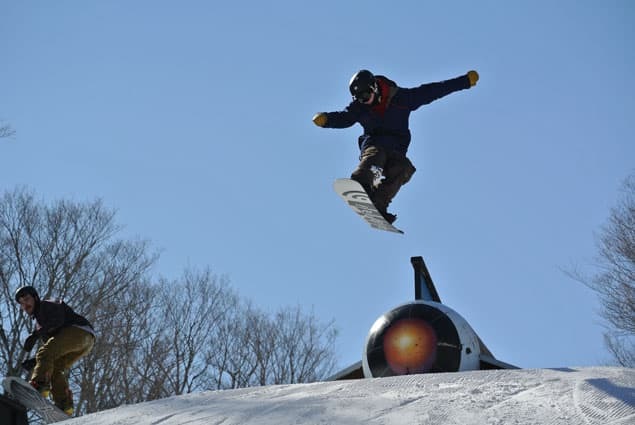 KILLINGTON—On Saturday, Feb. 28, Killington Resort hosted the Neff Land Space Jam, an open format competition in its outer-space-themed terrain park located at Ramshead. There were three divisions, one for the groms (14 years old and younger), and men’s and women’s divisions. Neff is a Southern California headwear company, started in 2002 by brothers Shawn and Joe Neff. They specialize in authentic, stylish and functional snow and skate headgear and have expanded to include sunglasses, watches and outerwear. Neff sponsored the design of the outer-space-themed park at the resort, which includes over 15 features to jump, jib and slide on. It was an exciting event, broken into two sessions, one for the top features of the park, and one for the bottom elements. An open format consists of riders hitting all the features they can, going as big, stylish and technical as possible, and trying to impress the judges to claim the prize. Many competitors hiked back to the top after their run to get in as many tries as they could fit in during each session. It was impressive to see the variety and creativity the athletes displayed. 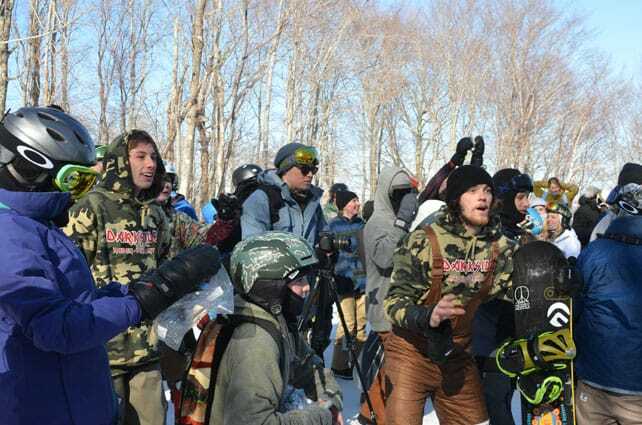 Taking home first place, a trophy and $500 cash in the men’s division was Luke Haddock, followed up by Levi Gunzburg in second and Nate Haust grabbing third. Spencer Bell was awarded “Best Use of Course.” The women’s division was a tight race, with Marie Maurer topping Maggie Leon for first, while Rebecca Mundre rounded out the podium capturing third. The groms division was led by River Willman, which earned him a sponsorship with Neff for his efforts. Ryan Sihler came in second, and Kameron Pruitt rounded out the young winners’ bracket. Despite the cold temperatures, the spectators enjoyed the thrilling display of tricks and air. The tunes were cranking, keeping the athletes inspired and the crowd entertained.